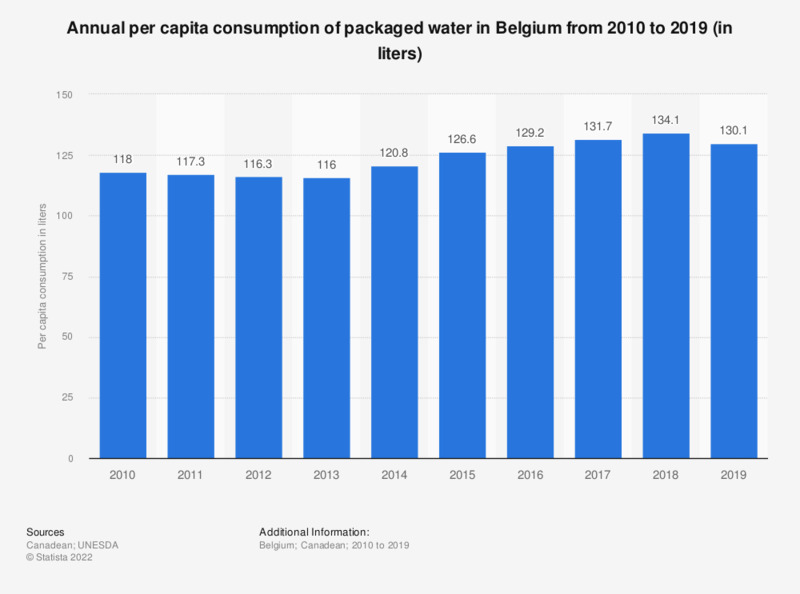 This statistic shows the annual per capita consumption of packaged water in Belgium from 2010 to 2016. The consumption volume of bottled water has increased in the period under consideration from 118 liters per person per year in 2010 to 129.2 liters by 2017. Everything On "Non-alcoholic beverages market in Belgium" in One Document: Edited and Divided into Handy Chapters. Including Detailed References.